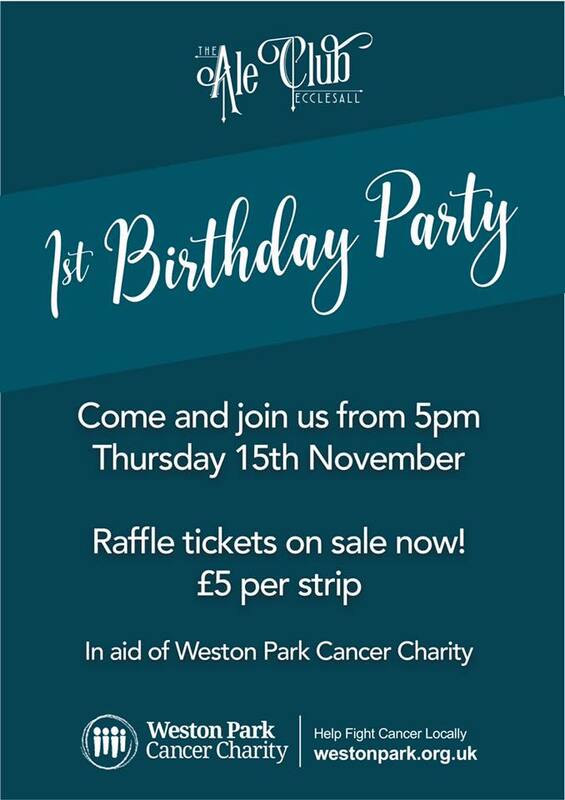 To celebrate their one-year opening anniversary, Ecclesall Ale Club will be throwing a party with beers, free food and a big charity raffle in aid of Weston Park Cancer Trust. The event officially kicks off at 5pm tonight, but they’ll be raising money all day, so feel free to pop in this afternoon and, in their words, “do your bit with every sip!”. There are over 20 prizes to be won in the raffle, featuring prizes such as free SUFC/SWFC matchday tickets, a brewing experience at Wincle Brewery and £100 in cash.